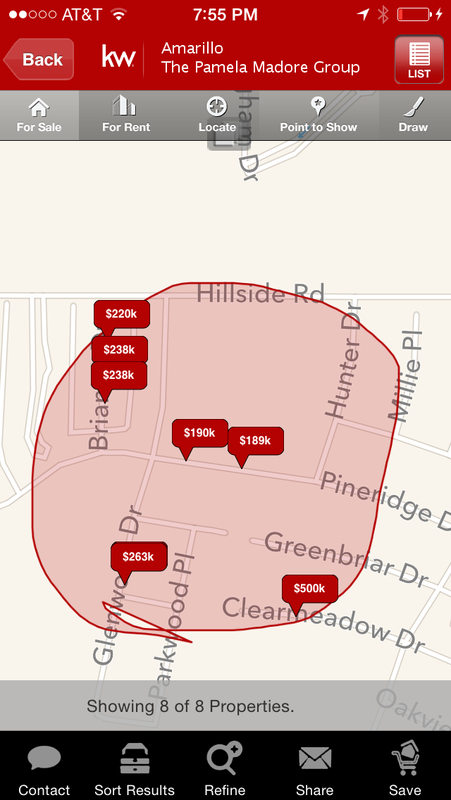 Find all houses for sale near Lorenzo de Zavala Middle School. This is a live feed from the Amarillo Association of Realtors' Multiple Listing Service. It is constantly updated so be sure to check back often. 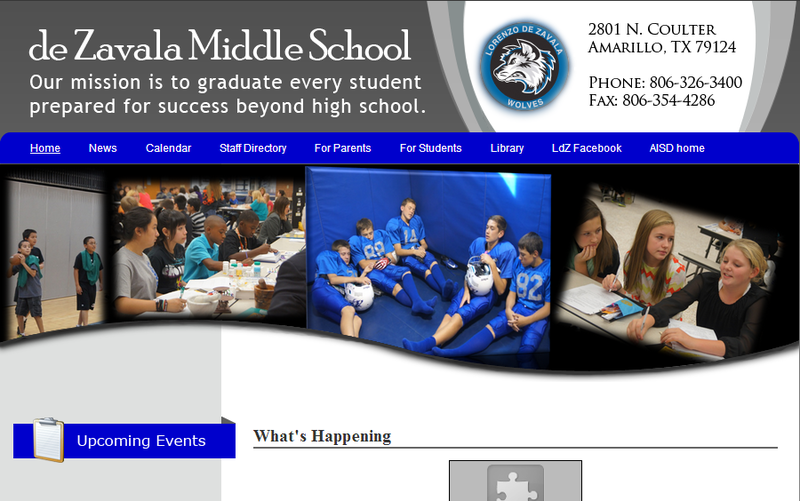 Lorenzo de Zavala Middle School is part of the Amarillo Independent School District (AISD). Not all houses for sale in the 79124 zip code are in the Lorenzo de Zavala Middle School district. Be sure to check school boundaries here. Lorenzo de Zavala Middle School is located on N Coulter St. just north of NW 24th Ave. (Fairway Drive) and just west of La Paloma Golf Club. If you would like to know how much your house near Lorenzo de Zavala Middle School is worth just fill out this simple form. You can find school ratings for Woodland Elementary School which is also in the 79124 zip code on my website. 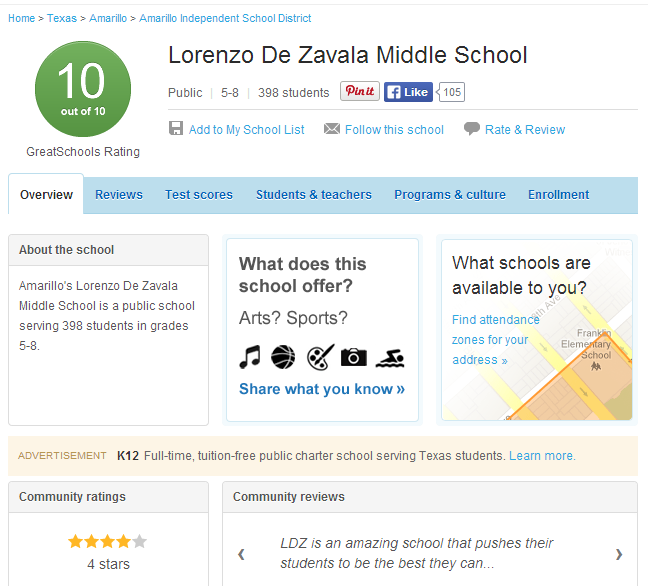 The rating for Lorenzo de Zavala Middle School can be found here. 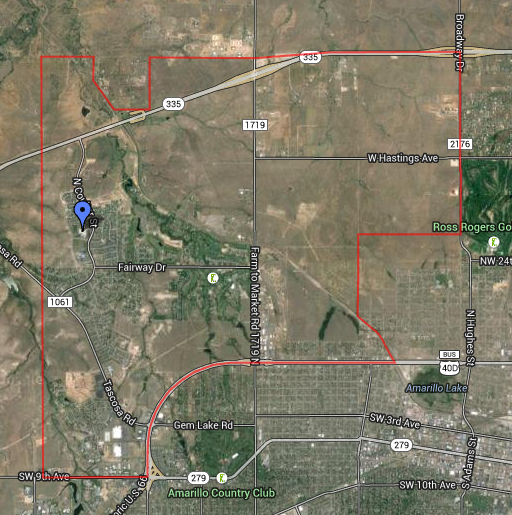 You can also find demographics for the 79124 zip code along with shopping, churches, and other amenities on my website. 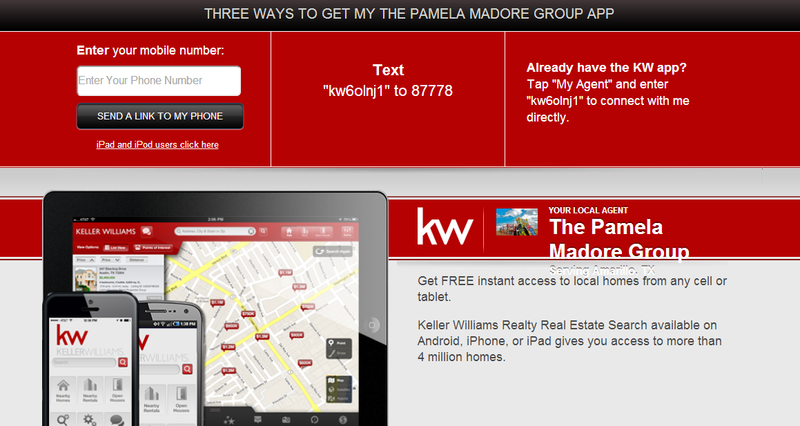 To search for houses near Lorenzo de Zavala School from my mobile app simply enter your phone number below. By doing so you will receive a text message with the link to my personal app. When you search for houses for sale from my app you will be able to see of the pictures available for each house instead of just a few pictures that other apps have. You can also draw a map with your finger and all of the houses within that area pop up. Pretty cool feature. It is also a live feed from the MLS. You may also be interested in houses for sale near these other schools. You can find more houses for sale near other area schools on my website. Thank you for visiting my page about houses for sale near Lorenzo de Zavala Middle School. HI Pamela - nice post. I think it is a great idea to list homes for sale near specific schools, as often time families want to reside in a certain area because of schools.